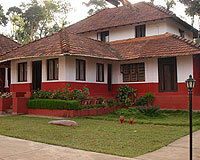 The Jade is close to Nagarhole, Waynad and Iruppu falls. 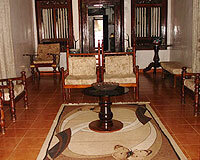 The Jade is a fine homestay in Coorg that offers excellent services and facilities for a delightful holiday. 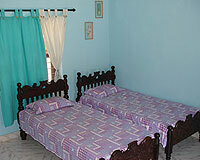 The Jade organizes fun filled activities like sight seeing, trekking, seasonal rafting, plantation walks etc. The Jade is a wonderful hideaway from the hustle bustle of the city where one can spend time fishing, trekking, bird watching, and night safari or simply enjoy mouth-watering local delicacies around bonfire in the evenings. 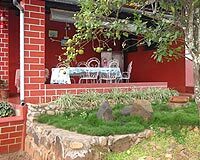 Situated within close proximity to many tourist hot-spots in Coorg, The Jade is a perfect place to enjoy Coorgi hospitality. 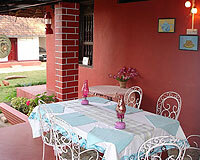 The homestay has 4 rooms with attached bath and 2 rooms with a common bath. The Jade offers Coorgi delicacies and Continental cuisines.